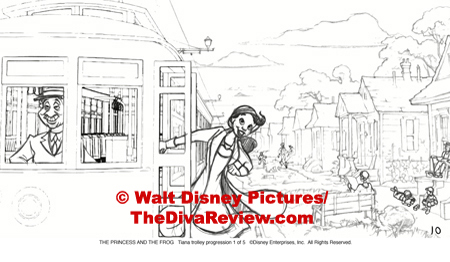 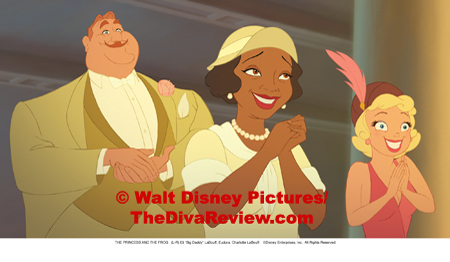 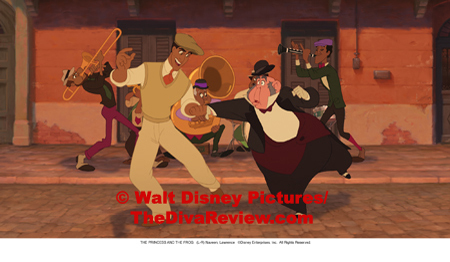 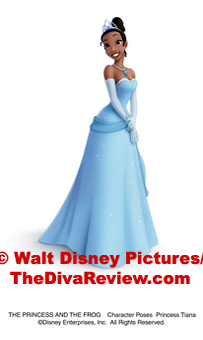 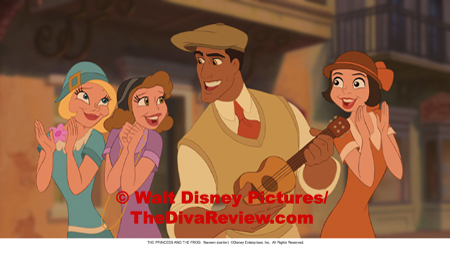 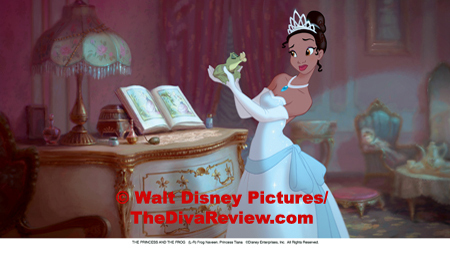 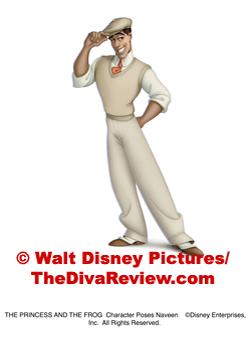 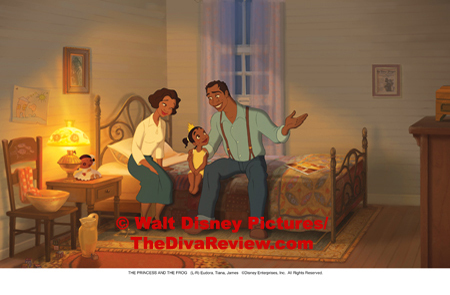 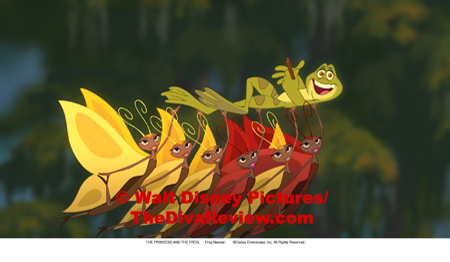 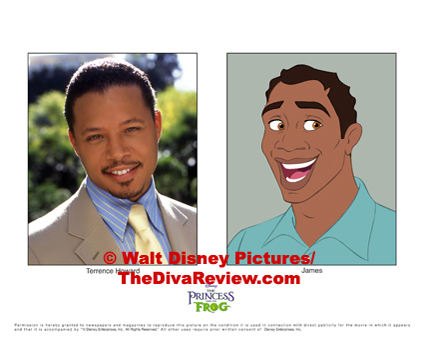 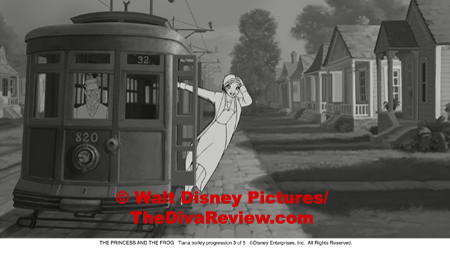 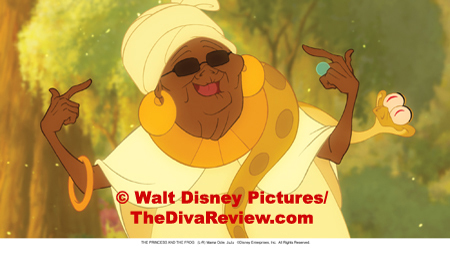 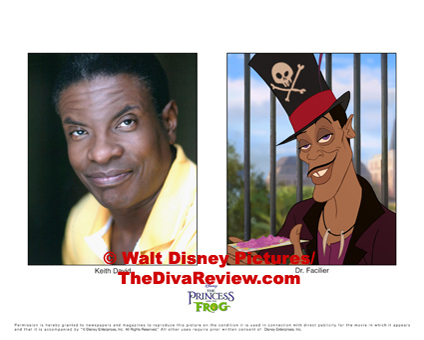 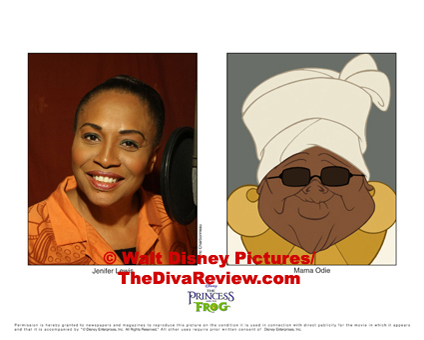 Much ballyhoo has been made of The Princess and the Frog, Disney’s first animated film featuring an African-American lead character. 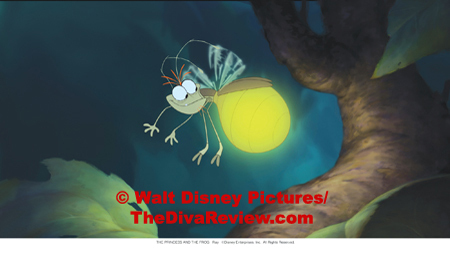 This movie has already undergone more microscopic scrutiny than the H1N1 virus and has a huge wall of opinion ready to fall at the first umbrage. 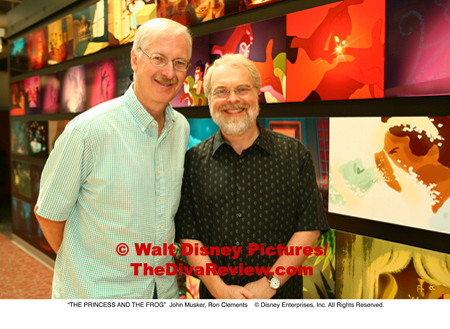 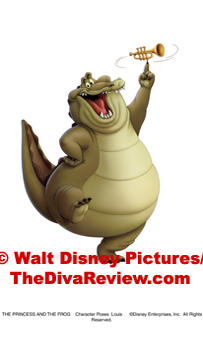 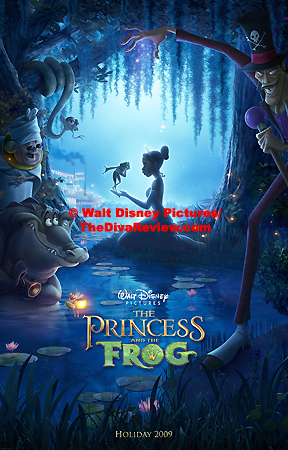 Worry not, naysayers, Disney is exactingly solicitous in its handling of the political and cultural aspects of The Princess and the Frog; in fact the only people who would be offended by it are people who like good movies. 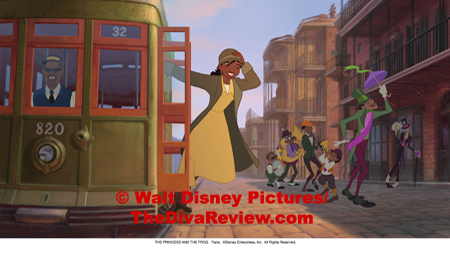 We’re in early twentieth century New Orleans, where pragmatic little Tiana just can’t understand her wealthy friend Charlotte’s obsession with finding a Prince Charming. 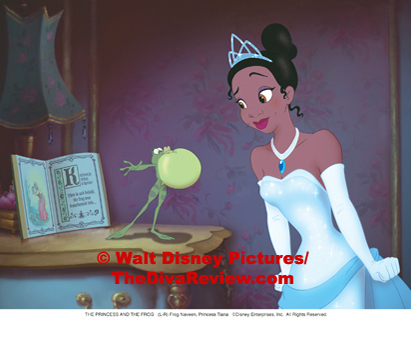 Taught all her life by her adoring parents that good things are only ever gotten by hard work, the whole fairytale where kissing a frog answers all one’s prayers eludes her. Her skepticism is enforced later in life; now a young woman living in the Jazz age as the family breadwinner since her father’s passing, Tiana holds down multiple jobs in an effort to live her dad’s dream of owning a beautiful restaurant and serving his recipes. 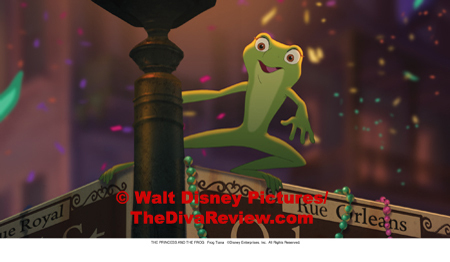 Not everyone is as fond of the hard work concept, however, and in another part of The Big Easy, a slimy back alley magician, Dr. Facilier, sees his chance to scam some VIP tourists for money and favours while making a play for the New Orleans big time. 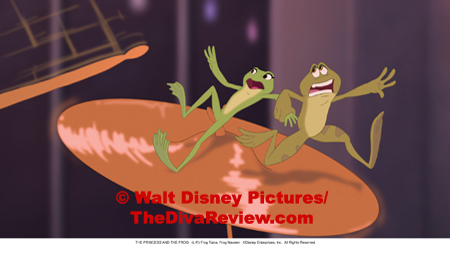 A spell cast by the magician goes terribly wrong for visiting Prince Naveen, who finds himself with flippers and a taste for flies. 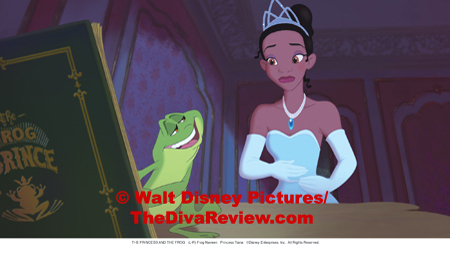 At a masquerade ball given by Charlotte, the prince convinces Tiana, dressed in one of Charlotte’s old playtime princess gowns to lay the lips on him in the hopes of recovery. 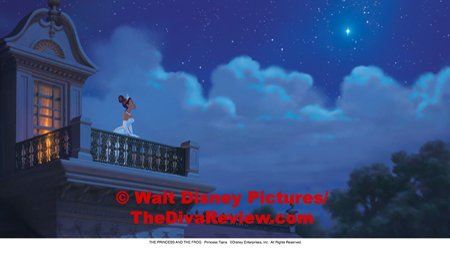 Alas, nobody is what they seem and the spell backfires, leaving Tiana with greater leg strength than she could ever have hoped for. 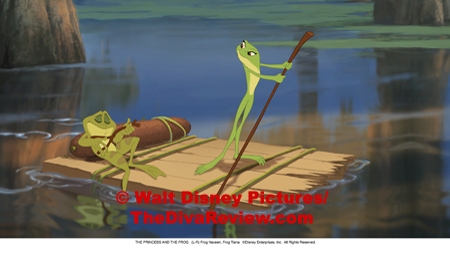 The pair, chased by Dr. Facilier, set off on a hazardous journey through the Louisiana swamps to find Mama Odie, the Voodoo priestess who will change them back to their human forms. 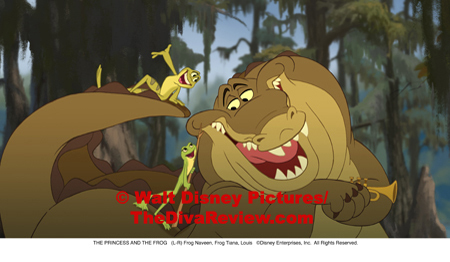 The amphibian couple is helped by Louis, an alligator who isn’t happy in his own skin, and Ray, a Cajun firefly who aspires to gain the love of one literally high above his station. 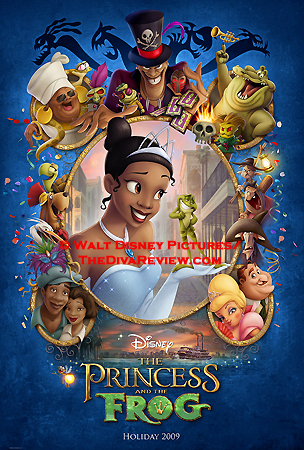 This shrill, uninteresting, headache-inducing explosion of paint and fury does no credit to the occasion that the film has come to represent. 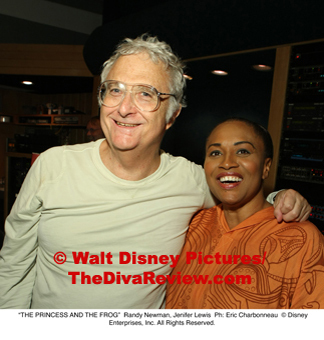 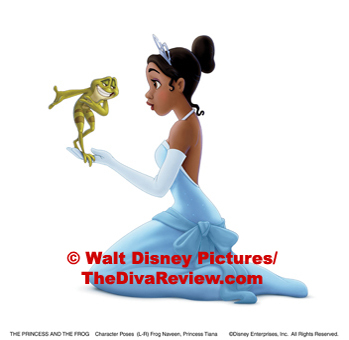 Instead of using this opportunity with all eyes on them to raise the standard of Disney films, everything in The Princess and the Frog, from script and animation to its musical score, is slapdash, afterthought and second rate. 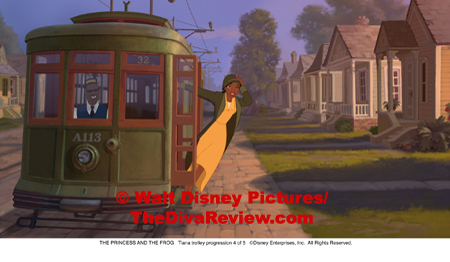 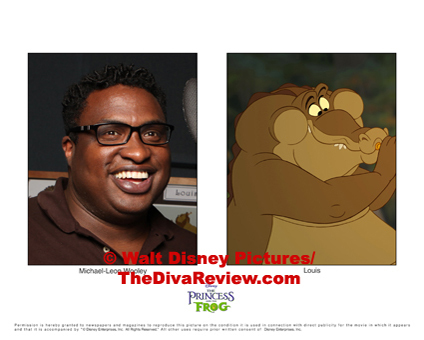 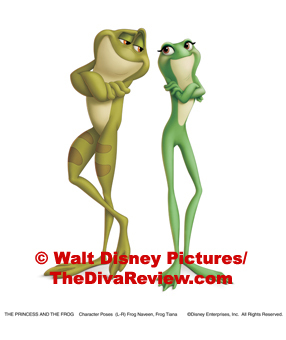 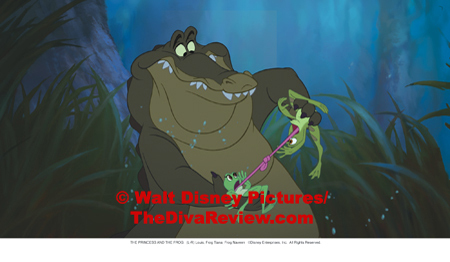 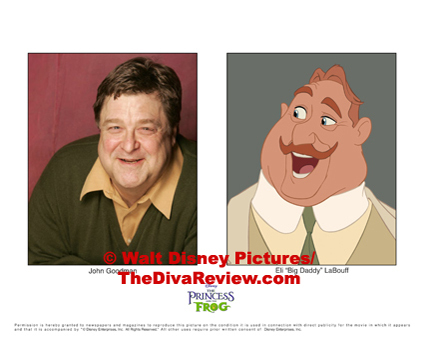 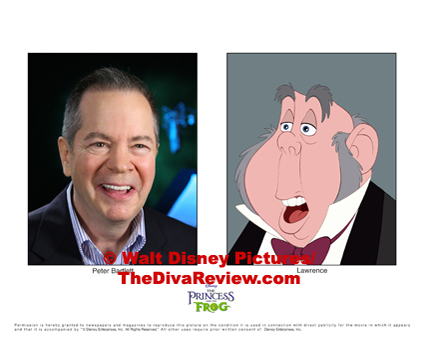 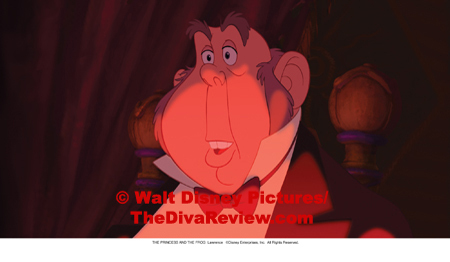 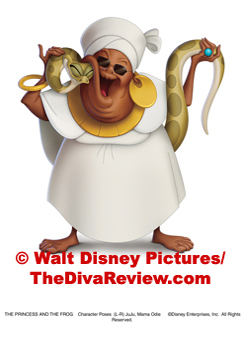 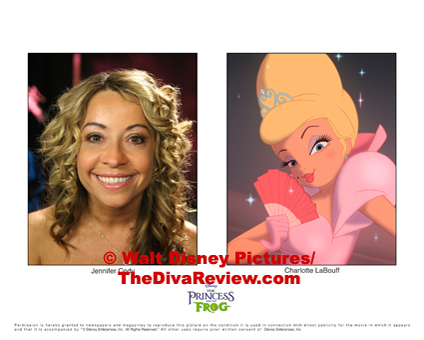 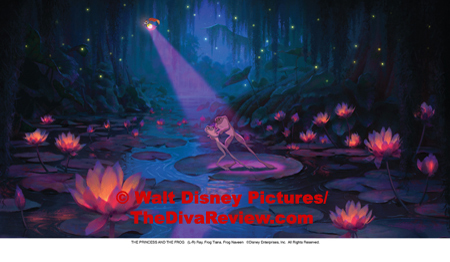 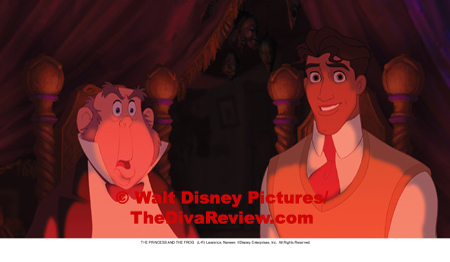 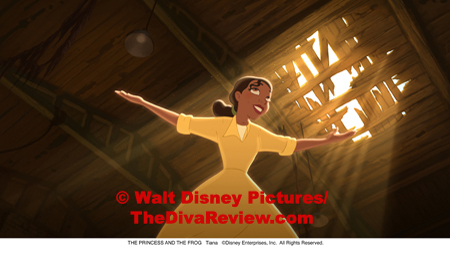 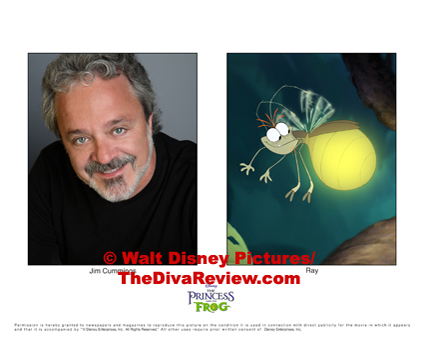 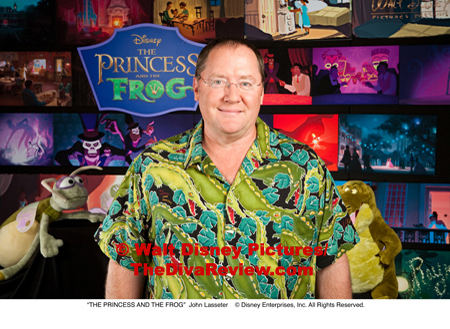 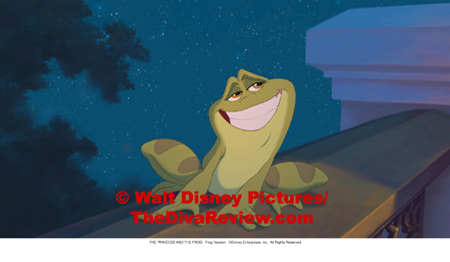 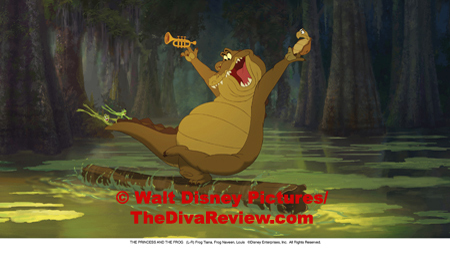 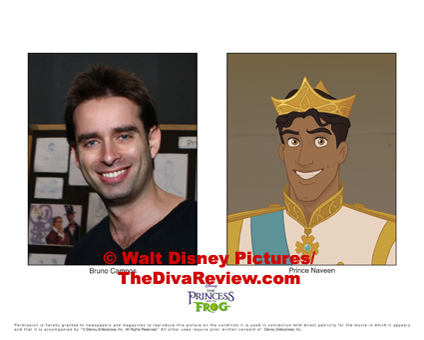 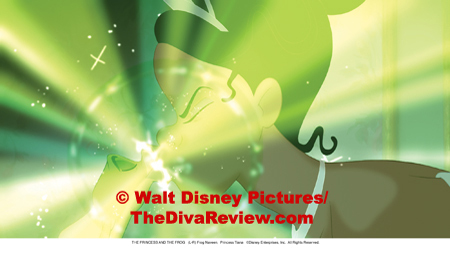 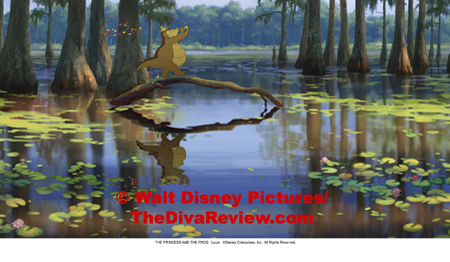 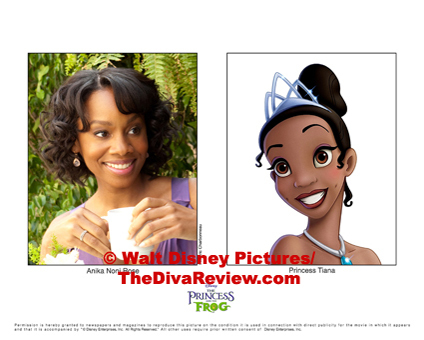 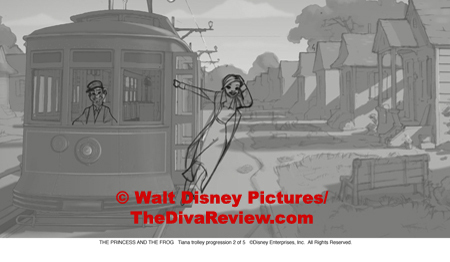 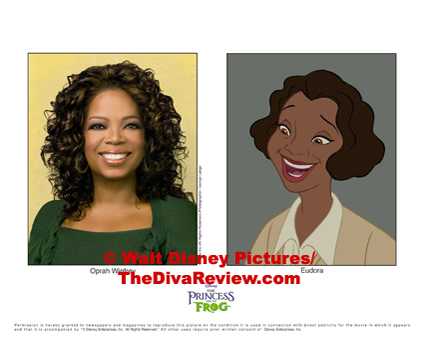 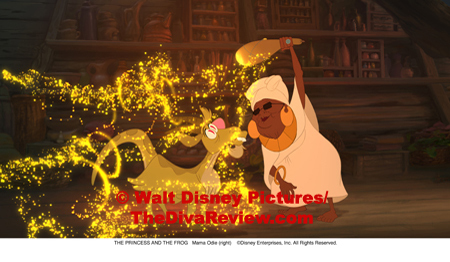 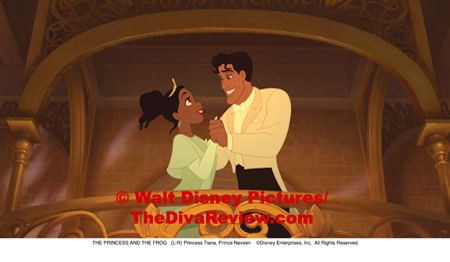 The Princess and the Frog is a huge disappointment and one of the worst of the prestige Disney features I’ve ever seen.